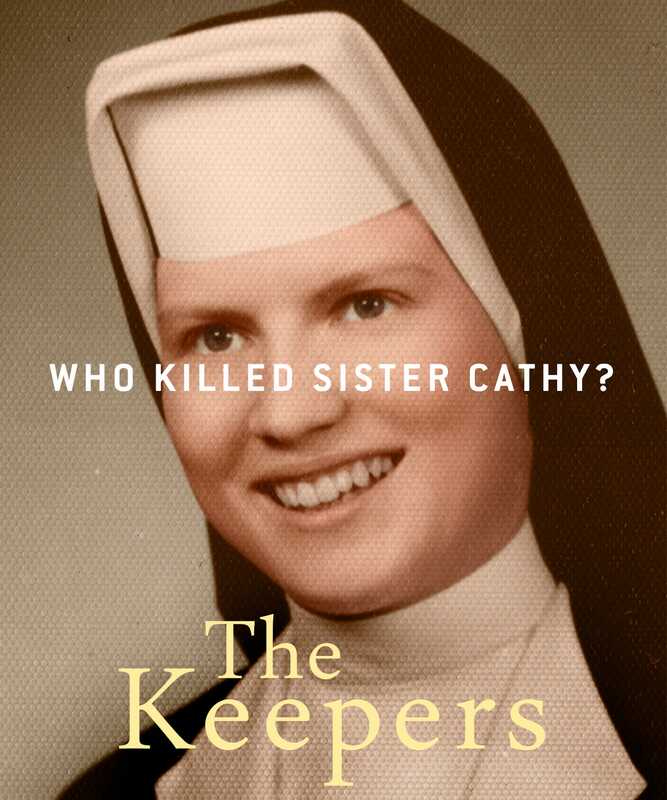 The Netflix documentary, The Keepers, has floored me. For those of you who may not be familiar with it, it is the story of two women, Abby Fitzgerald Schaub and Gemma Hoskins, who have taken as their focus in life to bring to justice the murderer of a Baltimore nun, Sister Cathy Cesnik. It is a story of courage, of perseverance in the face of what could easily be considered insurmountable odds. It is an account of sexual abuse by Catholic priests; it is a story of power, of continued denial in the face of indisputable facts, of cover-up by a church body whose political power and experience in denial and smokescreen are unsurpassed. But these women have not given up. Nor have the brave women who were abused. They have stepped up to the plate as well. More power to them. Since the documentary’s airing, scores of others have come forward. The response of the Archdiocese of Baltimore has been flat-out denials that they knew any of what was happening. While giving lip service to their care and concern for victims of abuse, their actions speak their values. The intrigue goes even deeper, with heinous links to police concealment and collusion rampant. Spin-meisters and lawyers cannot solve this one for them. And one must ask the question – is there no priest, bishop, any of the (male) hierarchy of the church that will actually have the decency to tell the truth, to admit the duplicity of the church and offer a genuine, honest apology. Or is the church essentially a business – one that must protect its assets, its real estate holdings, and its pension program? It looks as if we have our answer. I went to a Catholic grade school and high school. When I rejected Catholicism, it was because of my opposition to philosophy and teachings, not because of any negative interaction with the clergy. I was fortunate to have a humble, caring priest in grade school – he was a “monsignor,” though he preferred that people call him “father.” He was honest and without pretention. It was not until I was older that I became acquainted with the arrogance of the priesthood. Male power and female subservience. I knew that was not in the cards for me. I look back on my high school days with fondness, for I found a cadre of colleagues I am still proud to call friends, and, while critical thinking was not encouraged, the nuns did not force-feed dogma. I was fortunate. I was not accosted by a priest, or priests, as were the girls in The Keepers, though I realize that it could have been me. It could have been any of us. And I know, just as the girls in the documentary, had something “untoward” happened, that I would never have come forward about it. I would not have told my parents, though they were not bound by religion; I would not have told the nuns; I would not have told my best friends – and I told them just about everything. No, I know that this would have been such a shameful occurrence, and, as in the case of most victims of abuse, I would have felt that, somehow, it was my fault, that I was to blame. I watched the victims, now in their 60s and 70s, speak of their ordeals, and I was right there with them. I cried with them, and even now, a week later, tears are ever-close to the surface. Courage, perseverance. To Abby and Gemma, to the victims – you are amazing. At the end of the series, one of the participants listens to the patronizing cant from the Archdiocese. “Those fuckers,” she says. And with that, I heard and felt the voices of hundreds, perhaps thousands of women echoing her sentiments. Perhaps the Catholic Church needs a primer on truth. If they want to know what it looks like, they need to watch The Keepers. I spent last week in a fog of genealogy, listening to researchers whose travels and stories and sleuthing made my head spin. I attended the National Genealogical Society’s annual meeting. Thousands of intrepid researchers in one convention center. And do you know what? Their message was all about context. It was all about stories. It was all about making these people come alive, making them more than statistics and dates of birth, marriage, death. It was about telling their stories, about delving into the lives that they led. These were real people, not just those whose obituaries (true or otherwise) garnered the most print inches. People who experienced joy and sadness and wonder at their world. People just like us. And I took heart about my endeavors over the years – to tell the stories of ordinary people, some real, some imagined, but all connected to life. One of the presenters talked of the importance of telling our stories – “If I don’t tell them, people will never know that I’m in love with the Royal Family, that I’ve loved them since I was fourteen years old. That I am really Charlotte’s and George’s grandmother.” That’s what she said, and don’t we know exactly who she is from that? Doesn’t that tell us so much more than her birthdate, her academic degrees, her race and religion? And don’t you want to know her? And so, I continue to write my stories, about people who existed, or who may have existed. Perhaps they tell you who I am. The picture above is my father and his grandmother. She played a significant part in his life, and they shared a powerful bond. As I did with him. My lemon tree is safely ensconced on my deck; squirrels and chipmunks scampering around, but not onto, it. I am hopeful. Yes, I’m hopeful on several fronts – working hard to be. 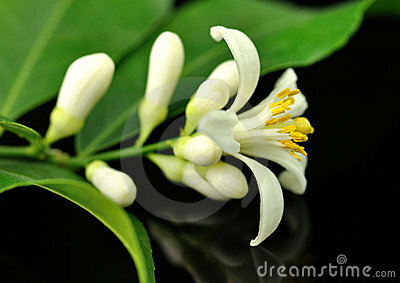 Hopeful that the critters will allow those six blossoms to have a chance to become actual lemons this year. Last year they left only one – which, of course, I treasured and coddled like it was – well, my first home-grown lemon. Hopeful that I’ll have a season of lemons, and will be able to inhale with wild abandon that subtle, sweet smell that doesn’t come from furniture polish. Hopeful that another spring and summer will bring a sense of serenity and accomplishment as I savor days of writing, reading, and thinking. Hopeful that our political situation will find some sense of humanity, and caring, and common sense so that we can somehow bridge these wide gulfs that have come upon us. Hopeful that the world will recognize that we are all one. Maybe It all hinges on a lemon tree. To allow us to step, to think, to hope beyond ourselves.